Almost everyone uses email, making it a great tool to use to reach out to your audience. 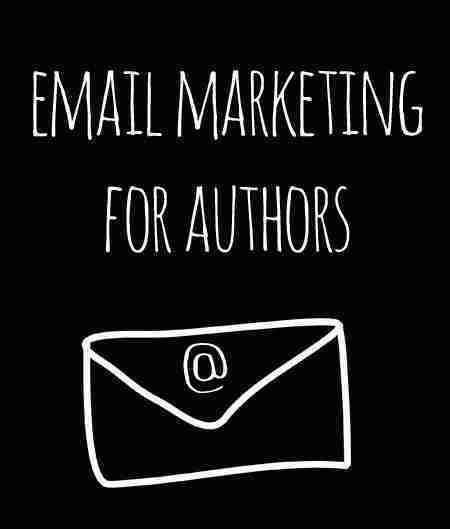 In this article, we’ll talk about email marketing for authors and how to create an effective newsletter campaign that will help you to connect with your subscribers. Before we go into how to create an effective newsletter campaign, it’s important to understand why it’s so important to have one in the first place. Name Recognition: People may forget your name if they only see it once or twice, but if they continually receive email from you, they will start to remember and recognize it. Increased Loyal Readers: The more loyal subscribers to your newsletter, the more loyal readers you will have of your books. They will read your first book, your second book, and so on. Drive More Traffic to Your Website: People who read your newsletter may not remember to visit your website for updates regularly. But when you send out a newsletter, it can make people click through to read the articles on your website. Build Relationships: Email is very personal compared to other social media, and can be a great way to get to know your readers personally, as many may email you back after you’ve sent a newsletter out. People will feel like they know you well. As you can see, there are many benefits to having an email newsletter. Now that we’ve covered that, let’s take a look into how to set one up. There are many ways to set up a newsletter campaign. We personally recommend using email delivery services such as MailChimp.com or Aweber.com though there are many, many others. Once you sign up for an email delivery service and register your account, you’ll be given a bit of code for your website to include an opt-in box for your website. An opt-in box is the part where people type in their email address and name to say, yes, please send me your email newsletter! You want to be sure that you only send email to people who have opted in to your email list, as this can get you in a lot of trouble if you send unsolicited email. No one likes spam! Once you have everything set up on your account and your website, the next step is to determine what on earth you are going to write in each newsletter you send out. Good email newsletters make people want to actually open them and read them and find out what’s inside. I can’t tell you how many emails I get that I just delete without even reading them. You don’t want that to happen to you! Have A Consistent Schedule: Good newsletters go out the same time, the same day every week. Too often and readers will be annoyed, too little and people won’t remember who you are or why they are getting the email. Try to send out the same time and the same day week after week. Convey Important Information: I can’t stand newsletters that don’t have any real point other than to sell me stuff. Always include something important worth reading in your newsletter, or your subscribers may not read it very often or worse unsubscribe completely. Clean Simple Layout: A lot of email clients will block out images or some emails can take too long to load if they have too many images. Remember that your readers may be reading on smart phones or tablets and don’t have the ability to wait a long time for large messages to load. Keep your layout of your newsletter simple and easy to read. Keep it Personal: Most email delivery services allow you to personalize a newsletter with the recipients name – you may also wish to include your own personal message at the top or bottom that further personalizes the message. Remember – you are branding yourself, so be yourself in the newsletter! If you follow these simple guidelines, you will have a successful email campaign that helps you to build loyal subscribers and readers. Have any questions about setting up an email newsletter? Ask away in the comments section below!